R and C Metals are a local company who specialise in the recycling of all scrap metals. Zircotec offers a wide range of plasma-sprayed ceramic and metallic coatings that protect components against the effects of heat, wear, abrasion and corrosion. Lightweight and easily packaged, Zircotec’s technologies can be applied to a broad range of different materials including metals and composites. Zircotec technology is used in all forms of motorsport and is also used on Tom Harris Motorsport cars. Founded in 1979, the Banbury-based bodyshop is one of the leading body repairers in the South Midlands. Approved by 16 manufacturers and many more insurance companies, whether your car has a minor scrape or structural damage, Carbody offers a trusted service to repair your car to a safe and secure standard. Carbody also paints Tom’s stock cars. Lucas is now one of the world’s leading innovators and producers of oil products, additives and garage consumables. A premium line of oils, greases and problem solving additives has helped to firmly establish Lucas as a prominent figure on the road and track. 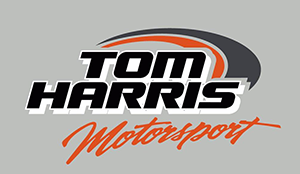 Lucas Oil started a technical partnership with Tom Harris Motorsport supplying products for all the Tom Harris Motorsport cars. Based in Altrincham, Cheshire; J Davidson is one of the North West’s largest & longest established scrap metal dealers, servicing industrial, commercial, & the general public sectors. Paul Tully is a revered and well established motor racing photographer. Specialising in racing across the Stock Car fraternity, Paul works closely with the team to create images for fans and sponsors. Elan PR is devoted to offering marketing support to suppliers, dealers, restorers , race teams, parts manufacturers and specialists in the automotive, historic and motorsport sector.